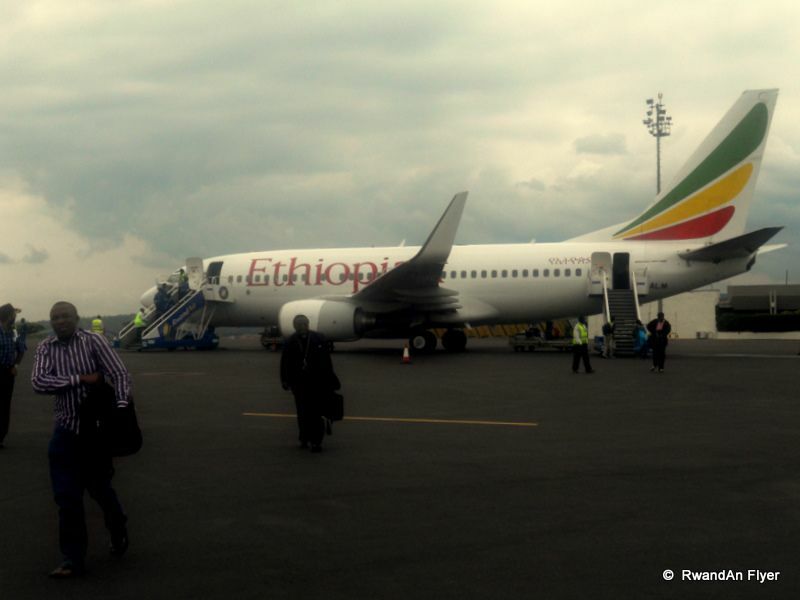 In this category, you will find all Ethiopian Airlines pictures taken by our members. 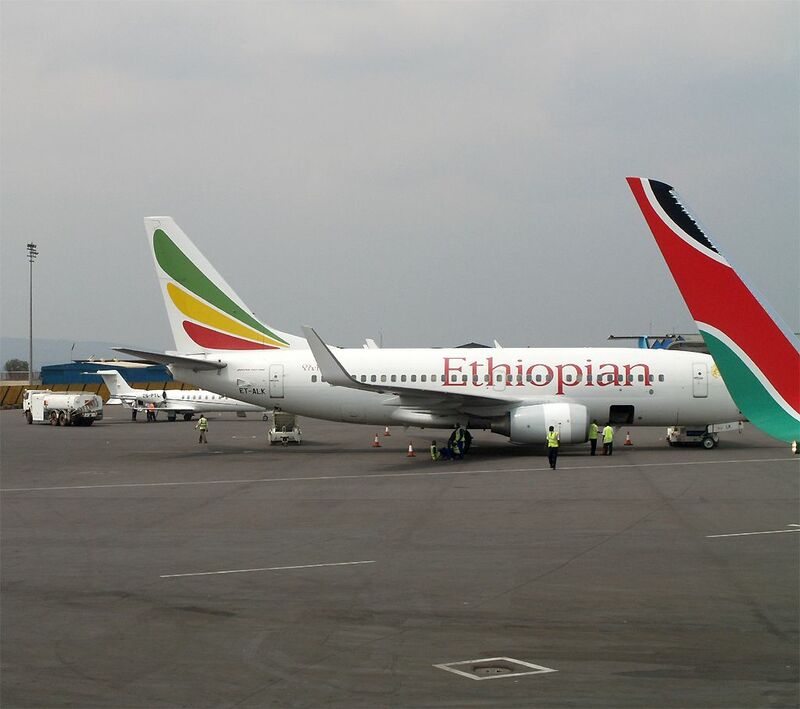 Ethiopian Airlines serves Kigali two times a day, using mainly Boeing 737s. View on an Ethiopian Airlines Boeing 767, from a Kenya Airways Boeing 737. Just arrived after a journey of about 20 hours from Paris. 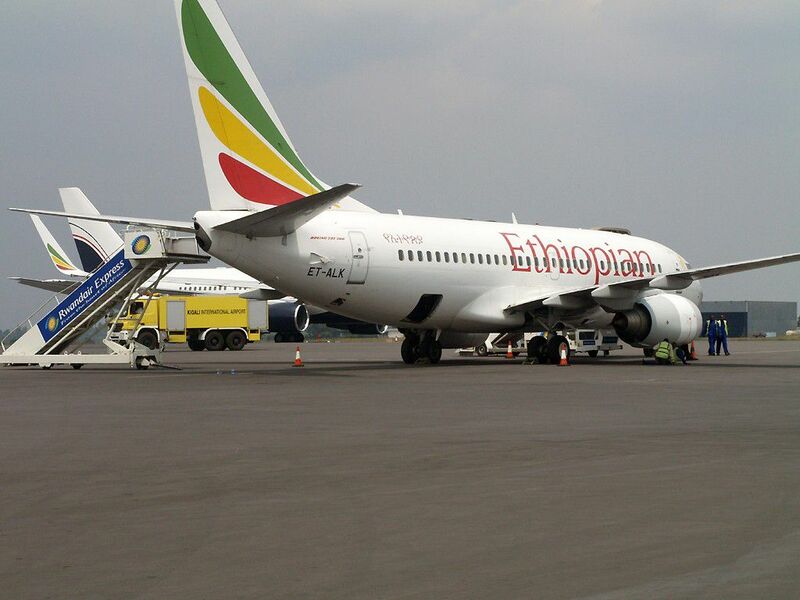 This Ethiopian Airlines Boeing 737-700 is operating the daily service Addis Ababa Kigali Bujumbura. 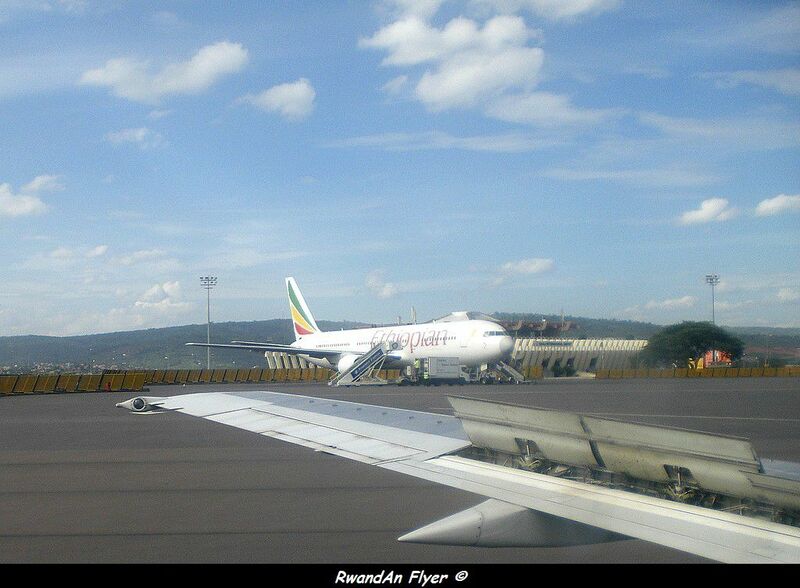 Ethiopian Airlines started flights to Kigali in 1975. 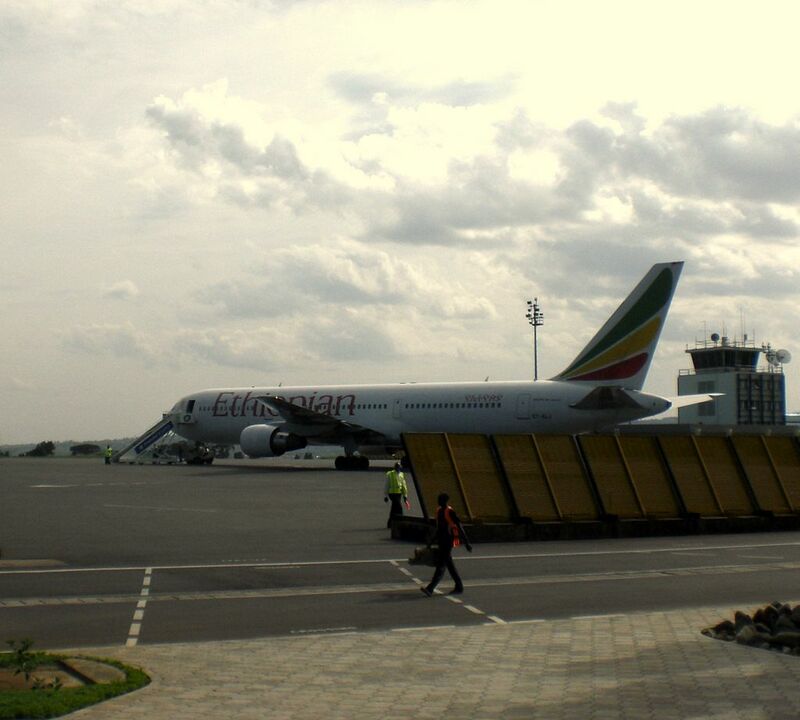 One of two daily flights operated by Ethiopian, which has just arrived from Addis Ababa.